Are you taking a road trip this holiday season? Pass the time on those long drives or hours in the airport by downloading ebooks, audiobooks, and movies from your library’s extensive digital collection! As a JCPL card holder, you have free access to thousands of titles through R.E.A.D.S, Tennessee’s digital download system. 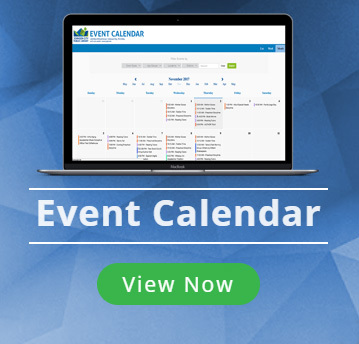 If you’ve never used it before, this is the perfect time to start. To begin, visit the app store on your smart phone or tablet and download Libby, by Overdrive. 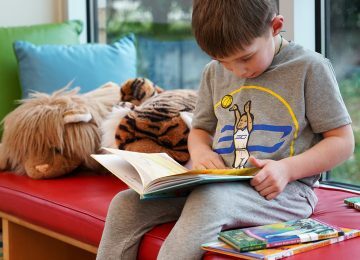 Open Libby and follow the simple steps it provides to sync your library account to the app. (You’ll need your library card number for this.) You can also find step-by-step instructions here. Once Libby is installed, R.E.A.D.S can be accessed three different ways. The simplest way is to search within Libby, which houses the full R.E.A.D.S inventory. 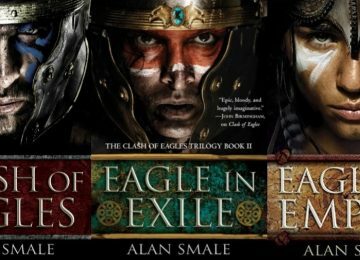 You can also find R.E.A.D.S titles at www.jcpl.org, either through the library’s catalog search or the E-Resources tab. For a specific title, search our catalog like you normally would and look for the title listed in either ebook or audiobook format, then choose “Download”. You can also browse the R.E.A.D.S catalog by clicking on “R.E.A.D.S” under our website’s E-Resources tab. Once on the R.E.A.D.S site, click “Sign In” on the top right. 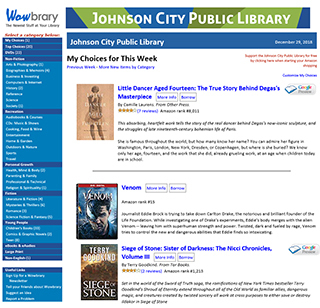 Choose Johnson City Public Library from the dropdown menu, type in the number found on the back of your library, and you’re ready to browse! To check out a book, simply click on the title and choose “Borrow”. 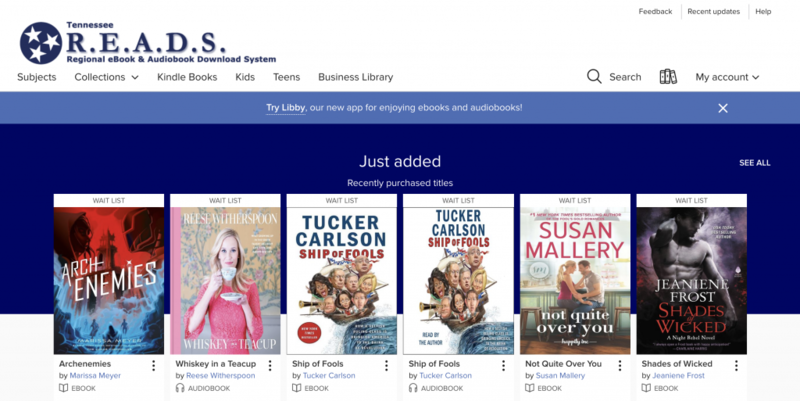 Whether you download R.E.A.D.S titles through Libby, the library’s catalog, or the R.E.A.D.S website, you’ll find them automatically added to your Libby app when you open it, ready to accompany you on your holiday trip. It’s that easy! If you’re having trouble using Libby, watch this tutorial through Niche Academy (another great digital service we recently added to our website). You can also call 423-434-4454, or bring your device to the Information Desk on the library’s second floor. To keep up-to-date on JCPL’s digital resources, visit our website and follow us on Facebook and Instagram.